Orthotics is a specialty branch of medicine concerned with the design, manufacture and application of orthopedic devices. Orthopedic devices aid patients in healing by supporting and correcting the function of a limb. Orthopedic devices are available for many conditions and are a part of successful rehabilitation programs that help patients regain functionality. 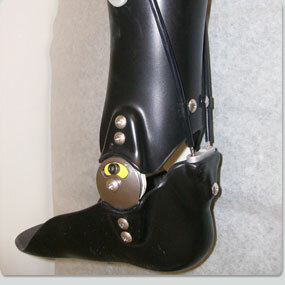 Orthotics are used to assist a patient but do not replace a lost limb. Immobilize, limit, guide and control the affected joint or extremity. Correct the shape or function of a body part. Orthotics are used to aid patients suffering from a sudden trauma or disease. Orthotics help patients regain lost functionality. 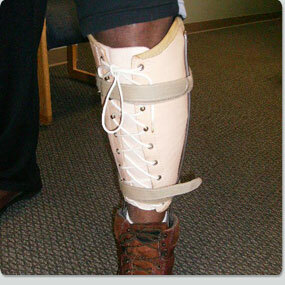 Preferred O & P Services orthotic practitioners are a proactive part of a patient's rehabilitation team. Preferred O & P Services practitioners are American Board Certified.